Last year marked the 25th anniversary of Shellac, and back in January, the band's Steve Albini revealed in an Exclaim! interview that the band were planning to release some rarities in 2019. Making good on their promise, they've announced a double LP of two previously unreleased BBC Radio Peel Sessions. The release is called The End of Radio and includes sessions that the band recorded on John Peel's BBC Radio One show in 1994 and 2004, respectively. The 2004 session was recorded in front of a small studio audience. 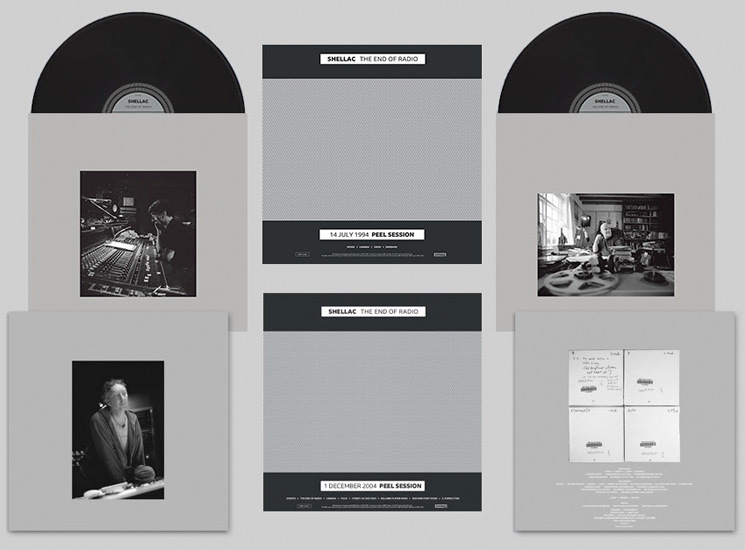 The recordings will be available on a double-LP release and a double-CD release. The vinyl version will include a single CD of the full album. Look for the whole thing to arrive on June 14 through Touch and Go, and pre-order the release here. A press release also reaffirms that this won't be the last we hear from Shellac. "The band will continue to play shows or tour at the same sporadic and relaxed pace as always," it reads. "There is no correlation between shows and record releases. There will be more new material in the future."